To our Field Trip Leaders, who gladly share their birding expertise so we can all become better birders. To our Board Members, who do all the behind-the-scenes work (often at their own expense) to keep the organization running smoothly. And to our Crosby Sanctuary Volunteers, who help us maintain and enhance our 565-acre conservation property in Orange Park. and to the members of the Ridgeview High School Earth Club, who have been helping us at our fourth Saturday of the month “Crosby Saturday” work days since September - thanks so much to everyone! 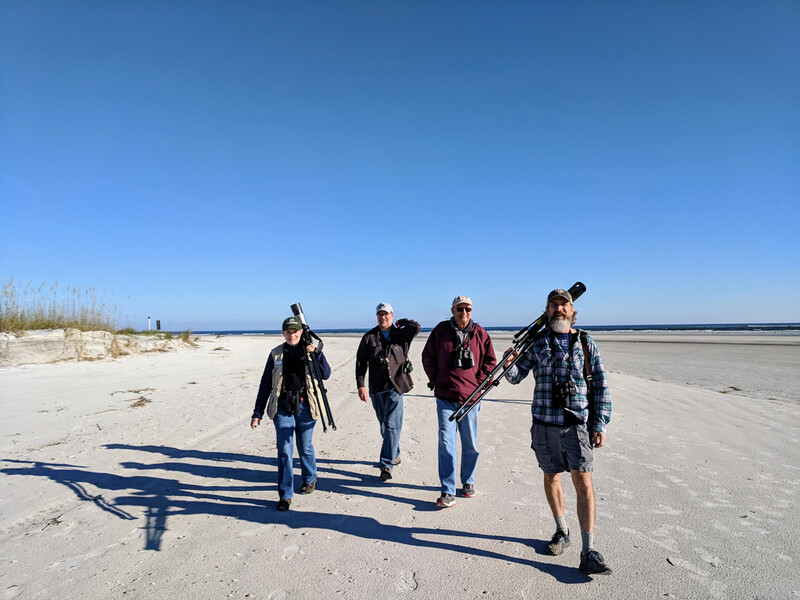 We are always in need of additional help, especially Field Trip Leaders and Outreach Volunteers - please contact acting volunteer chair Carol Bailey-White at carol.bailey.white@duvalaudubon.org for more information. Thanks also to our members, donors, social media followers, program attendees, and everyone who participates in any of our activities - you are the reason we do what we do! Our volunteers work hard every fourth Saturday of the month at our Crosby Sanctuary conservation property in Orange Park to maintain trails and plantings, remove invasive species, and keep it trash-free. We have big plans for improvements at Crosby over the next several years to make it more accessible to everyone. The board recently approved the purchase of a powerful brush mower so we can more easily maintain the trails that have been established over the last couple of years. We plan to install a permeable-surface parking area inside the gate that will provide additional parking for visitors and reduce the need for street parking in the neighborhood surrounding the preserve. Our most exciting project is the construction of an elevated boardwalk through the swamp section of the property. 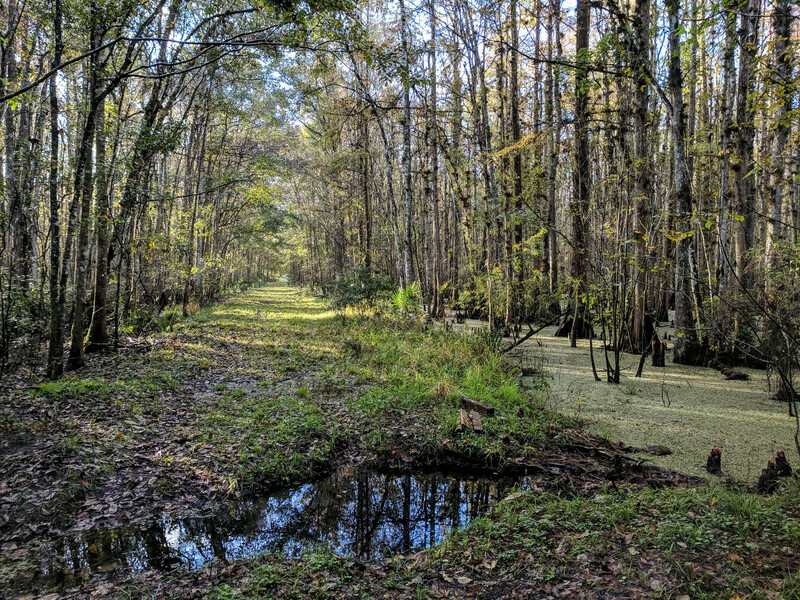 The earthen dike road that runs through the swamp is slowly deteriorating with each high-water event (Hurricane Irma had a significant impact on the entire neighborhood) and visitors currently need to wear rubber boots to avoid getting their feet wet after rainy weather. These developments will allow more people to experience this magical place, but we need your help! In early 2019 we will launch a campaign to raise the funds we will need to make these plans a reality, but you can donate at any time using the PayPal link on our website at www.duvalaudubon.org. Thank you! 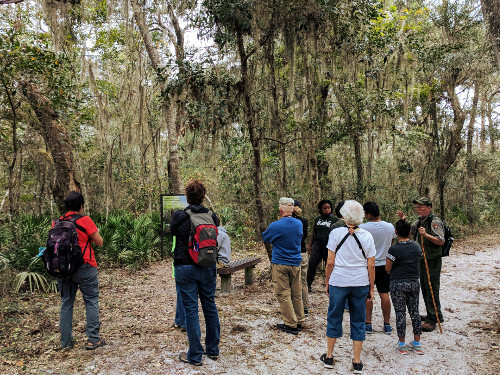 We’re continuing our quarterly cleanups at one of our favorite field trip locations on Sunday, January 13th at the St. Augustine Road Fish Management Area! 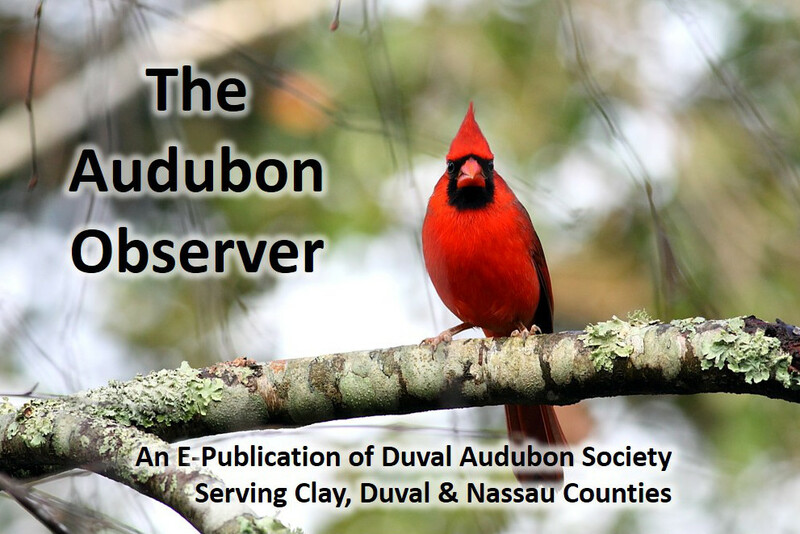 Contact acting volunteer chair Carol Bailey-White at carol.bailey.white@duvalaudubon.org for more information. On January 21st, join us for our monthly program at the Charles M. Neviaser Education Institute of Community Hospice: a fascinating look at White Oak’s Whooping Crane Conservation Program. Light refreshments at 6:30 pm; program starts at 7 pm. We’re hosting a special Birding on the Water outing on Saturday, March 16th with Kayak Amelia. Contact chapter president Jody Willis to reserve your spot: jody_willis@comcast.net. Field trip destinations include Orlando Wetlands, Harris Neck NWR, Alligator Lake, Vaill Point Park, Lake Woodruff NWR, and many more! 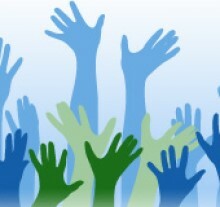 Check our Calendar of Events for more information on all of our activities. 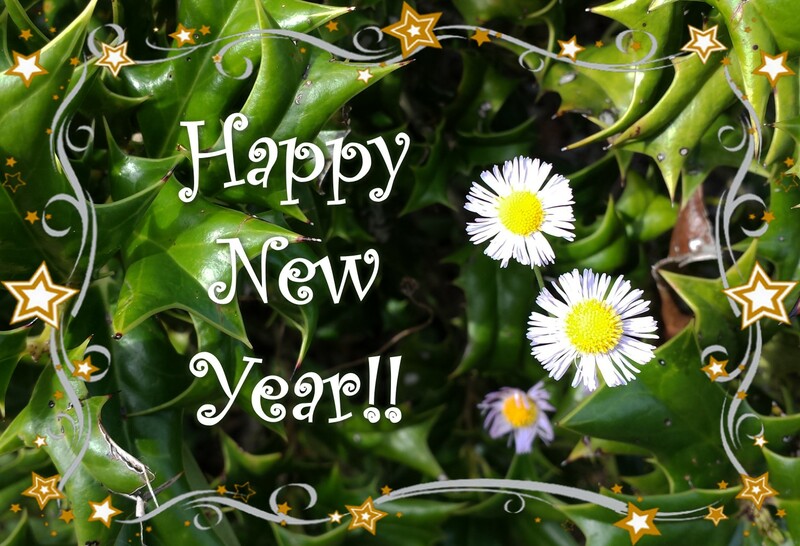 From everyone at Duval Audubon Society, best wishes for a happy, healthy and BIRDY 2019!